When it comes to people some want to be doctors, some want to be lawyers, and some want to be scarers? Wait, that last one only applies to monsters. That's right, when little monsters are running around they pretend to the greatest scarers Monstropolis has ever seen. This meant that when it was time for young Mike Wazowski to make a choice of where to go to school he only had one option, Monster University. There he could learn the best techniques to make sure no one could scare better than him, not even James P. "Sulley" Sullivan. 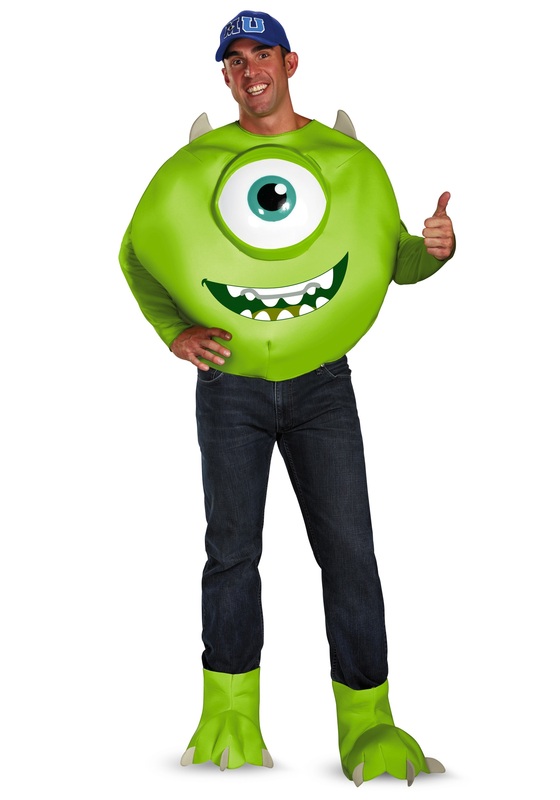 Now you can become the young Mike in college when you wear this bright green costume!